Add this stylish retro gorgeous photo booth and selfie pod to your wedding or any other social or corporate event and give your guests something to remember. Whatever the occasion or event that you are planning the U Cube photo booth is an excellent choice. 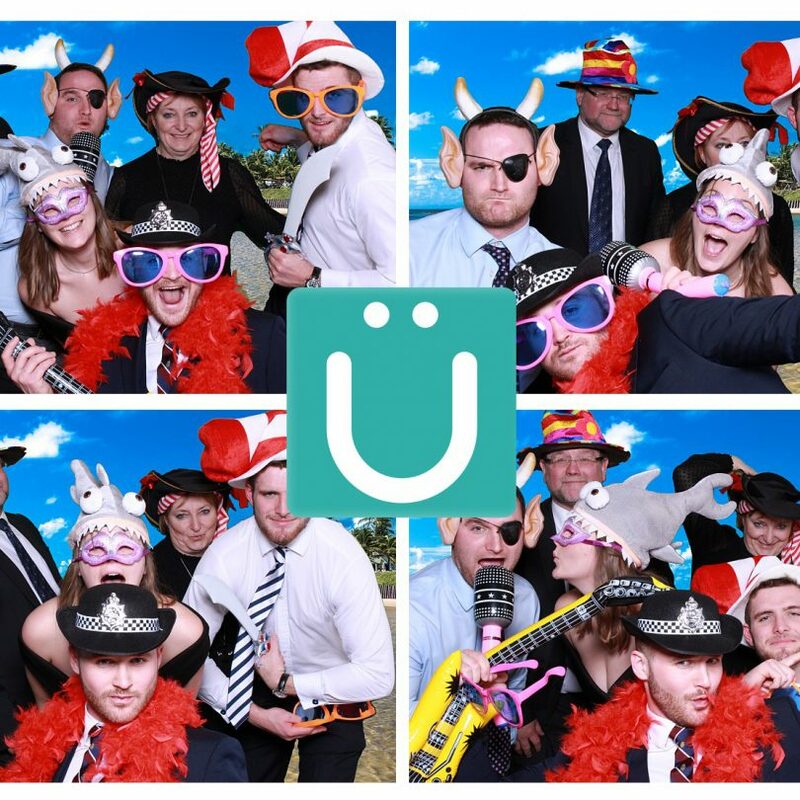 We guarantee that the U Cube photo booth will bring hours of fun and turn heads. go on don't B square B cubed! We offer three photo booth booking options. Combo - for booking with a wedding package with GS Images. Multi - for booking multiple events. Book the U Cube photo booth to cover for your event. If you are considering booking the U Cube photo booth for your event in and around Gloucestershire and the Cotswolds, Worcestershire, Herefordshire or Bristol & Avon or would like to find out more about us, then please get in touch as we would love to hear from U.
Gloucestershire Photo Booth - What's in the Box? With all bookings of the U Cube photo booth a trained operator will be present to help and guide the sessions. We provide a quality guest book to hold a copy of every print taken at the event. We also provide an online gallery (free to download) with all of the images taken in both the four image montage and each individual frame as the full high resolution image. Great for - Weddings - Proms - Corporate Events - Birthday Parties - Christmas & Halloween.